What financial knowledge do you need for your finances to be in order? Don’t take unnecessary risks. Get educated and plan ahead! We are all different and unique individuals with different backgrounds. What we do have in common is our citizenship with fellow countrymen (for example, being Malaysian) and that we need to make sure that our finances are in order. In different life stages, we will have different priorities. Below is a guide on the financial knowledge you need as you journey through different stages of life. Creating a simple budget and managing daily spending. Saving regularly into a high yield children’s saving fund. Setting goals for saving and buying “wants” (parents can match savings to help). Learning skills and entrepreneurship to gain life experience and additional income. Understand medical insurance protection to reduce burden on parents for medical issues. 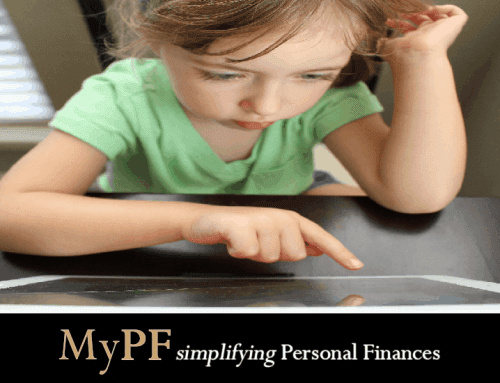 Regular Personal Finances Review every six months as a financial management review to obtain, budget, save, invest and spend monetary resources over time. This takes into account various financial risks and future life events to grow towards achieving financial freedom. Make sure monthly cash flow is positive ensuring cash liquidity, regular savings, and not taking on overly high debt. Keep emergency savings at minimum 3 months to six months expenses. As soon as possible, to save/invest at least RM1,000 monthly (RM12,000 annually) towards building future wealth and passive income. You will want have a financial freedom plan, investment goals, and craft out your personal investment plan to achieve your financial goals. Risk planning to cover income replacement in case of disability or critical illness, and debt cancellation in case of death or loss of income. Basic estate planning with simple will writing which is very affordable from RM500 to make sure that your assets go to your desired beneficiaries and not frozen if you pass away. Track your net worth growth year on year with a healthy net worth growth goal of +20% net worth per annum through saving and investing. It’s not too late though if you’re just getting serious with your personal finances but time is indeed of the essence if you’re trying to catch up! Lifestyle, family, and other expenses continue to increase, rapidly for most. You will want to make sure your cash flow remains positive and you can set aside at least RM1,000 monthly committed to investing and wealth building. You will want to gear your investment portfolio to be diversified so you are not severely impacted if a particular investment asset class is not performing. You need to know how much your EPF savings will have by retirement, and how much you need to invest and achieve for your retirement funding. You will want to make sure you have six months worth of expenses as liquid emergency savings to cope with unexpected happenings. For those with children, you need to plan ahead on your children’s education funding whether local or international and the expected costs while factoring in inflation (a ballpark is RM500,000 for overseas tertiary education but do work with an advisor for more accurate projections). Your children also require life insurance coverage especially for medical and critical illness coverage. Depending on your asset size, you will want to have a will written or trust setup. Make sure that your EPF, insurance, and investment nominations (if applicable) are in place. If you have minor children, you also need to specify guardians (and a backup just in case) if in the event you pass away. Store all your financial documents in a secure location accessible by those who need access in case anything untoward happens to you. Track your retirement funds and review your asset allocation and retirement funds withdrawal at least annually. Live a lifestyle that comfortably matches your retirement plan. Avoid the temptation to overspend and blow your retirement fund. You need to make sure that your funds are sufficient for the next two to three decades! Increase your liquid funds to three to five years worth of expenses to make sure you have sufficient cash liquidity even if market conditions affect your investment portfolio. Review your risk planning needs to be focused on healthcare and legacy planning. Estate planning needs to be in place, fully updated, and communicated. You may want to consider giving some gifts earlier instead of waiting until your passing. Communicate with your children or caretakers on your wishes for healthcare, financial, and funeral directives. Make full use of your time post-retirement to stay active and continue pursuing your passions while making a difference in the lives of all those around you. Share your personal finance advice for any life stage.